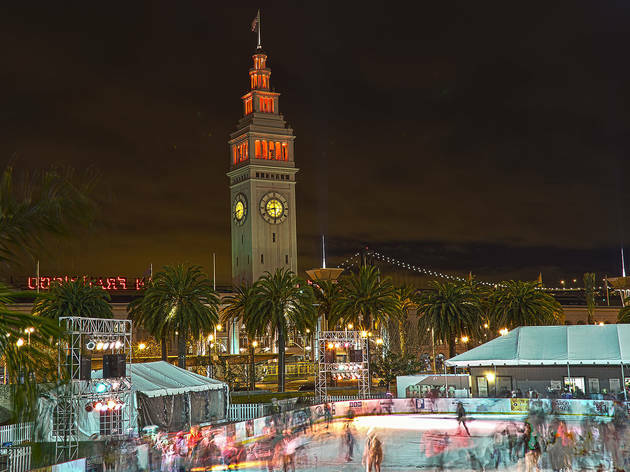 The Embarcadero Center’s ice rink is the largest in the Bay Area, and after dark you can treat yourself to a spectacular view of the Ferry Building and the lights of the Bay Bridge. 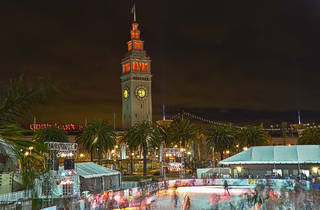 If you’re skating on market day, the Ferry Plaza Farmers’ Market will sort you out for a post-skate nibble. Or head into the Ferry Building and straight to Recchiuti, where you can get a pack of their dark hot chocolate pistoles to melt fireside at home.